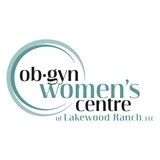 OB/GYN Women's Centre of Lakewood Ranch, LLC (Bradenton) - Book Appointment Online! Only waited about 5 minutes after filling out forms. My only peeve which is nothing against Dr. Alvarez (who was really really good) is that I filled out all the forms online from his office and then had to basically repeat much of it again when I arrived. He is awesome . Great service !